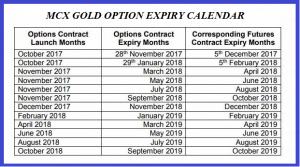 The First MCX GOLD OPTION EXPIRY CONTRACT will close on 28/NOV/2017. On 28/11/2017 on what rate GOLD 5DEC FUTURE CONTRACT will get closed will be the OPTIONS (28/11/2017) CLOSE PRICE. That is the SETTLEMENT PRICE THE OPTION. 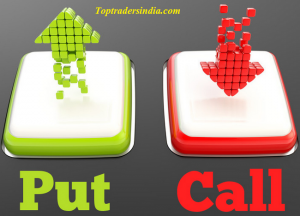 ABOVE THE CALL OPTIONS 29700, 29800,29900…. Will be zero. Likewise 29600,29500,29400… PUT OPTIONS will also be zero. Then next day we can trade 28TH JANUARY2018 GOLD OPTION. Now in MCX two expiry contracts are getting traded. That is 28th NOVEMBER2017 AND 29th JANUARY 2018. 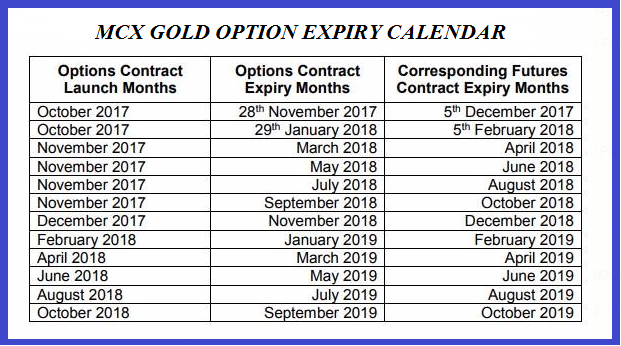 MCX GOLD OPTION TRADING CONTRACT EXPIRY CALENDAR.